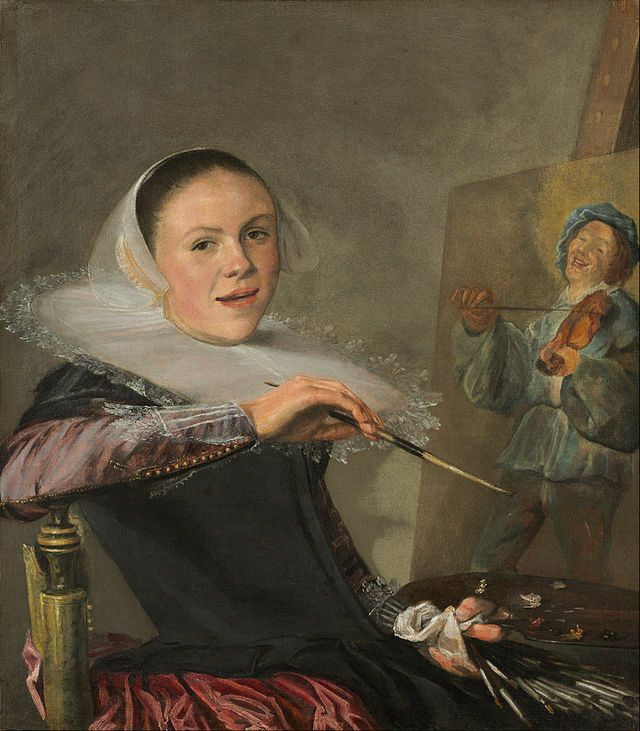 Margaretha’s mother taught her to read and write, but it was her father who taught her to paint. She helped in his studio, mixed his paints, and charmed his circle of friends. He died when she was twelve, along with her mother and her brother, all taken by smallpox. There was no money left. 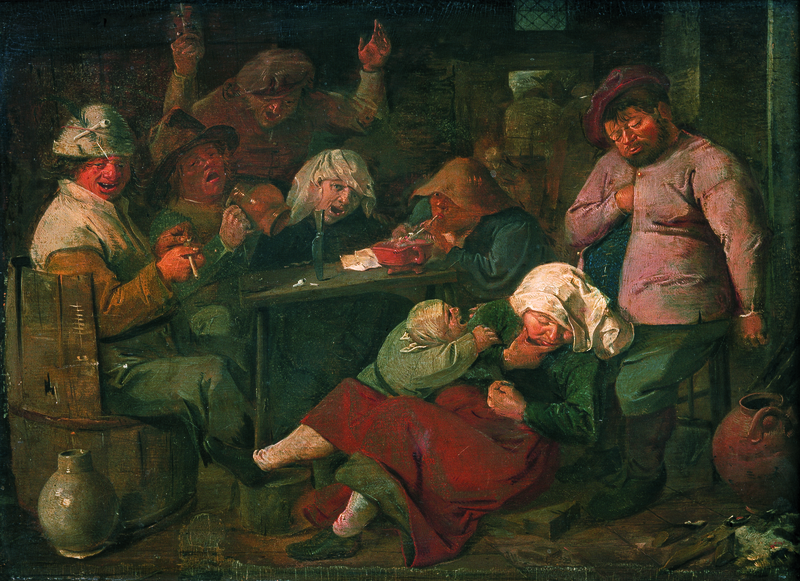 The executors of his will put Margaretha in a waggon with the rest of the household effects, and told the carter to take everything to her grandmother in Leiden. They gave the keys of the house back to the landlord. Margaretha sat on a bale of hay, amongst the slowly lurching pile of old clothes, easels, crockery, brushes, bedlinen, paints and canvas. Behind her, the spires and windmills of Haarlem receded, the Grote Kerk of St Bavo floating above the red roofs, as if about to ascend to Heaven. She looked out across the flat polders at the horizon ahead, where the sun gilded the edge of the green earth, and the trees were so small that the finest sable brush could not paint them. The grandmother has a large garden, and Margaretha paints pictures of the flowers. Each season adds another flower: tulip, iris, carnation, lily, poppy, cornflower, rose. She paints the earwigs that emerge from the heart of the rose. 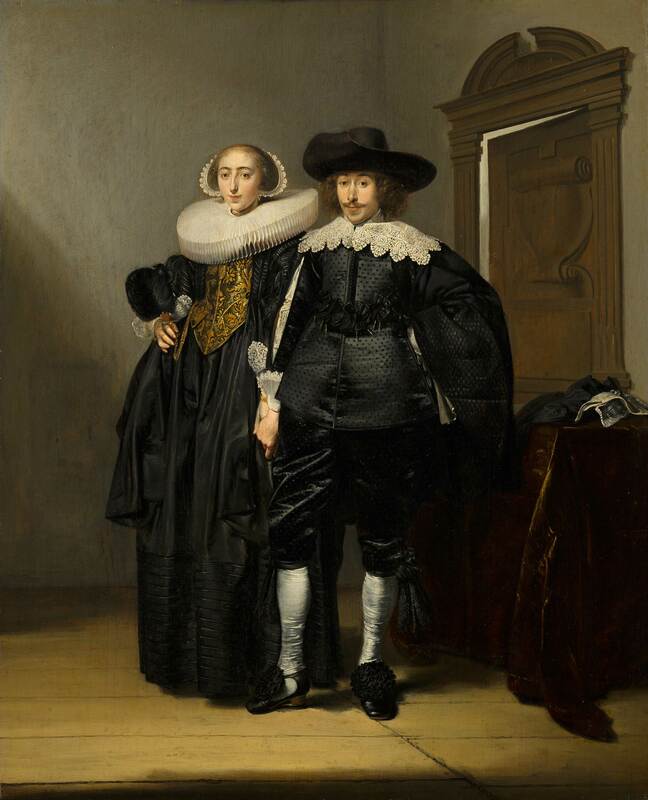 She dreams of returning to Haarlem to study painting with Pieter de Molijn. Margaretha has been mixing paint. She looks down at her fingernails, which are different colours, like Cousin Cornelia’s eyes. The grandmother gives a sigh of exasperation. After the son’s death the grandmother has not left the house. ‘It is a grievous thing to bury your own child,’ she says, ‘more grievous than a woman can bear.’ Her world is shrinking. Four years later, she falls on the stairs, and after that, lives only in the salon, washed and dressed by her two maidservants. Margaretha paints the garden’s flowers for her. ‘Women cannot be painters,’ says the old woman, when Margaretha hangs another picture in the salon. ‘Women do not paint’. Margaretha says this is why she needs to study. The mercantile families of the county are invited to bring their sons to dinner, in descending order of importance. Margaretha concentrates on the table when her dowry is mentioned. 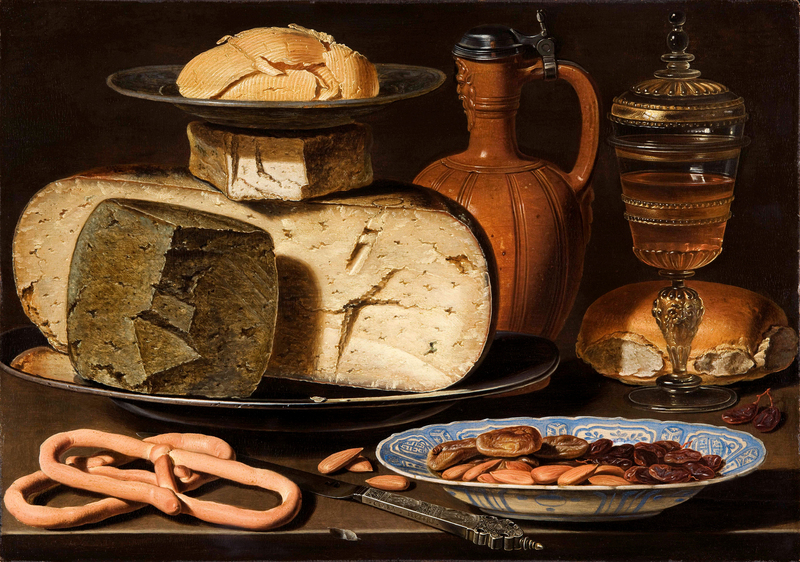 Candle-light picks out a pattern of shadows across the cut surface of the cheese, and the blue Delftware bowl sets off the rosy brown skins of the almonds. In the metal rim of her cut glass goblet she sees her own stubborn face, flattened and grotesque. Each week, the grandmother eats less, her digestion ruined. As the seasons pass, Margaretha paints snowdrops, apple blossom, a tulip, an iris, a rose, a lily, and an ear of corn. She paints her grandmother at her writing table, with window light on her hands and the pale paper, and her quill. Margaretha does not answer. She paints a pale shimmer on the pewter inkstand, and the figure of Mr. Curtius sitting in the shadows. His black suit is obscured, but his white collar and his bearded, frowning face are in the light. ‘Leave us,’ says her grandmother. Upstairs, Margaretha paints a bowl of apples, that her grandmother does not live to see. After the funeral Mr Curtius comes to see her. The anxious furrow between his brows has deepened, and he holds a sealed paper in trembling hands. Margaretha finds she has been disinherited. ‘I tried to dissuade her,’ says Mr Curtius. ‘You must write to me. Let me know how it goes.’ It is impossible for Mr Curtius to appear more concerned. His lips are so deeply compressed together that the gap between his beard and his moustache has disappeared. He brings a purse out from his pocket, and hands it to her. ‘But she left me nothing?’ Margaretha weighs it in her hand. It’s a soft, brown pigskin pouch, heavy with the density of gold. Margaretha does not know how to ride a horse, and does not want to pay a carter, so she sets out on foot, wearing her dead brother’s clothes, with a pack slung over her shoulder. She takes her brushes and her paints, and Mr Curtius’s purse. It’s a few days’ walk, and each night she stays at a country inn. Just after Hillegrom, the landlord enquires her business. She says she’s on an errand for her master. ‘I’m taking a letter to Mr Willem Jannsen in Amsterdam,’ she improvises. The drinkers fall silent, and the landlord looks at her with a chuckle. ‘You’ll have a long journey then, my lad.’ She questions him, but someone falls off his stool, and the replies, which seem only barkeepers’ fables, are obscured in the smoky air, and the drinkers’ laughter, and the thumping of tankards on the tables. In the early morning, a wind from the North Sea surges across the polders, and Margaretha pulls her cloak around her. Her limbs are weary and her pack is heavy. But to the north is the spire of Bennebroek. She might find shelter there by the afternoon. As she sets out, a pile of rags on a bench by the wall stirs, as though ruffled by the wind. Margaretha is startled, as the wimple of a beggar woman rises from the pile. A hand is outstretched for alms. Margaretha has seen many outstretched hands already, but this arm is of extraordinary delicacy, like a streak of China white above the umber rags. The hand is as small as a child’s. She stops. ‘It’s none of your business,’ says Margaretha. ‘If you want to keep your business private, you shouldn’t shout it out to everyone. Anyway, you won’t find him in Amsterdam, I can tell you that now.’ The woman’s face is shadowed beneath her wimple, but the exquisite arm and hand are fascinating. ‘What, is he away? Has he gone overseas? I know he trades in silks from the Levant.’ Margaretha puts her pack down on the ground. She has taken a hunk of bread from the breakfast table to serve for later, and it is big enough to share. ‘How do you know this?’ Margaretha feels her heart suddenly thumping. 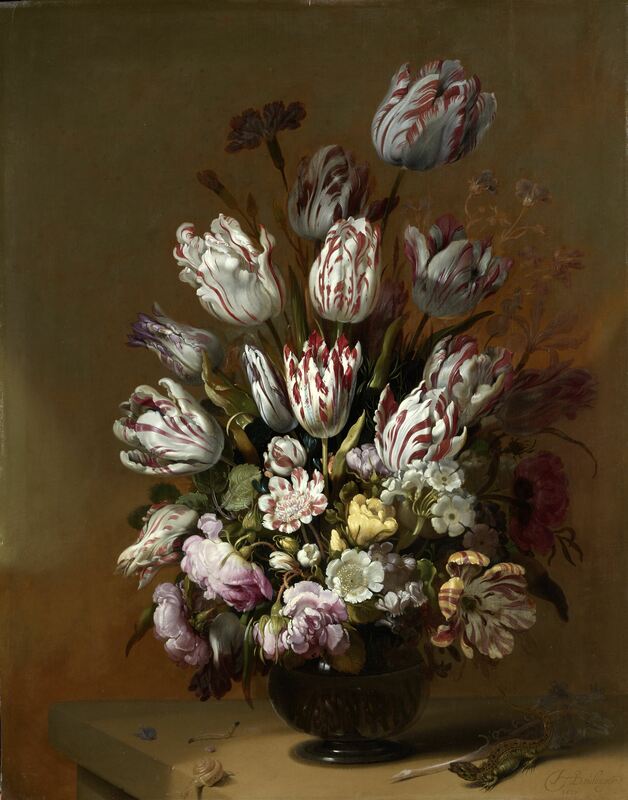 ‘How could tulips be so important?’ Margaretha’s grandmother had prized her tulips, but not that much, surely? Margaretha tears off a piece of bread and puts it in to the fragile hand. As the woman eats, Margaretha stands wondering, the heir to a fortune. She has only to return to Leiden, and wait for Mr Curtius to complete the formalities. His letter to Amsterdam will not be answered. But the early morning sun comes streaming across the polder, and finds its way under the wimple that shields the woman’s brow. As she looks up to ask for more bread, Margaretha notes the extraordinary symmetry of the dirty face, and that, whilst the right eye is gold, like yellow ochre, the left eye is blue, like azurite. Those eyes – Cornelia’s eyes – notice Margaretha’s stare, and analyse it. She hands more bread to Cousin Cornelia. The landlord is sweeping the yard and comes out with his broom. He looks as though he wants to sweep the beggar woman away. Nudging Cornelia’s feet aside, Margaretha sits on the end of the bench, waiting for the food. 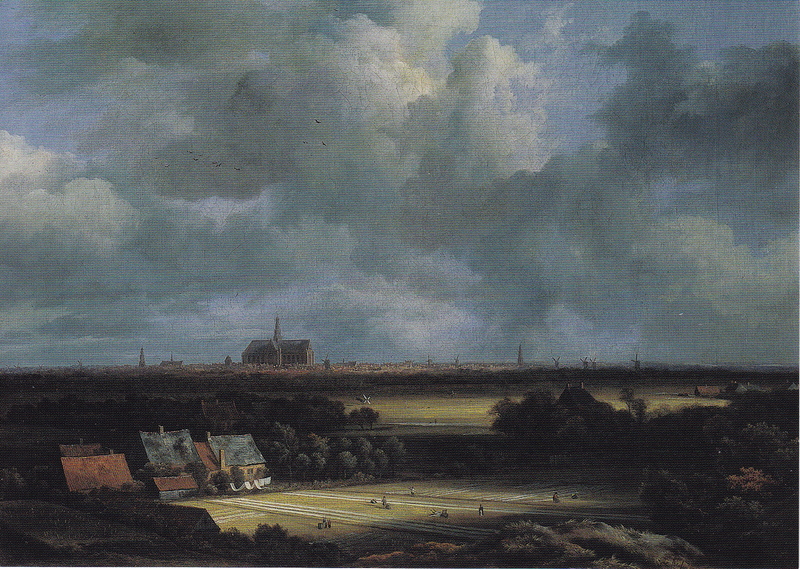 The distant village of Bennebroek looks tiny under a massive sky. Huge clumps of cloud are diffused with light from the east. 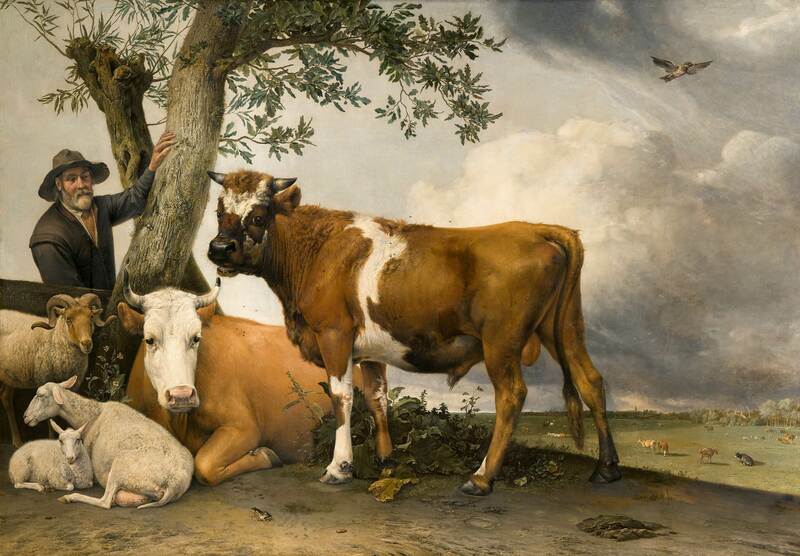 In the field across the lane, a young bull stands under a tree, his brown hide patched with white, his testicles heavy and pink, lording it over a cow, and a ram, and a couple of sheep. He shrugs flies from his back, and they hover and settle again. ‘If you were to inherit a fortune,’ says Margaretha, ‘what would you do?’ At the horizon, the sun gilds the edge of the green earth. ‘Oh, a fine house, and servants, and lovely clothes. I should be a lady, again,’ says Cornelia, with a chuckle. Margaretha simulates surprise. ‘I’d pay my creditors,’ says Cornelia. ‘Oh, even at my age, if they smell out money, they’re like wasps to a jam pot. And then, once I was married, I’d do whatever my husband told me to do. And that would be it. The money would belong to him, and to his children.’ Cornelia sighs. The landlord sets a tray of glasses and bread down on the trestle table, and pours ale from an earthenware pitcher. Margaretha knows she has only to walk away from the inn, and she will be walking into a fortune. The beggar woman will never move on. Cornelia will never learn of her legacy. ‘Could you bring me a pen and ink, and paper, if you please?’ Margaretha asks him. ‘What would I be doing with such things?’ The landlord stands with his hands on his waist, and his belly thrust out. ‘Beer and tobacco serve me well enough as a stock-in-trade. I’ve no intention of opening a shop. People round here don’t read and write, anyway.’ He mutters to himself as he turns away. Margaretha pulls the remains of a sketchbook from her pack, and a stub of graphite pencil. She draws Cornelia’s delicate hands gripping the glass of ale. ‘And suppose Cornelia Jannsen had escaped the fire?’ she muses, as if to herself. But Cornelia replies. ‘And then?’ Margaretha sketches, with perfect precision, the troubled symmetry of Cornelia’s face. Margaretha shades the rags with the softness of graphite. Underneath the sketch she writes: ‘Cornelia Janssen, by Margaretha Brouwer.’ She passes it to Cornelia. 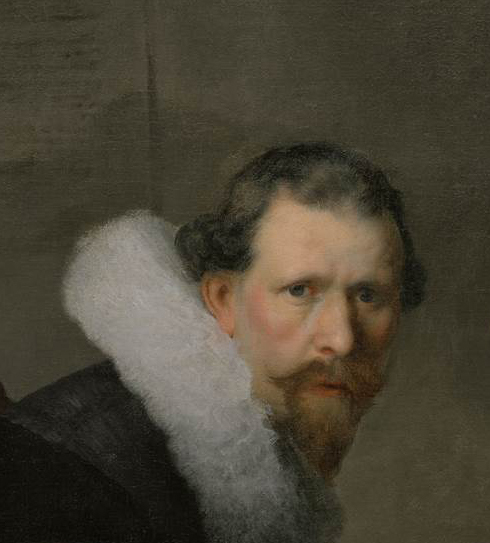 Dedicated to Pavlovaqueen, who showed me the Mauritshuis. Pingback: March 2015 Critique/Review/Thoughts | Aasof getting serious! Thanks Aasof. Yes, the grandmother disapproved of her son, who was Margaretha’s father. Smallpox is an infectious disease, but the germ theory of disease came in the 19th century with Robert Koch. The grandmother was within the bounds of her culture to decide that the illness resulted from her son’s lifestyle, which may not have been particularly dissolute but might not have measured up to her standards. Smallpox didn’t kill everyone, even in those days. Mortality is between 20-60% and 80% in infants. All the household effects were transported to the grandmother’s house in a cart, the (older) brother’s clothes amongst them – people didn’t throw stuff away in an age when everything was made by hand. Margaretha’s questioning of Cornelia wasn’t intended to be moralistic. She is given a choice about the inheritance, she can go back and claim it, and no-one will be any the wiser. But she has already taken her herself out of the restrictions of marriage and a certain position in society. The conversation with Cornelia makes her think that this is not what she wants, she wants to be free, and take the risk, and pursue her art. That was what I had hoped to convey, at any rate, sorry it was obscure! Thanks for taking the trouble to review and comment! Thank you for your response Giselle. I would have been surprised had Margaretha ‘cheated’ Cornelia. Margaretha was portrayed (to my mind) as an honest person who wouldn’t have done such a thing. Yes, and I intended that just as she has an artist’s eye, she should be able to view the situation from different angles, and be confident in her own choices. That was what I had at the back of my mind, but I may not have expressed it so clearly. There’s a fine line between making the reader think and use their imagination, and just confusing them!